An inexpensive and easy fix for anyone worried about frown lines. A fringe not only looks fun and youthful as a hairstyle, it also covers up any lines or pigmentation on the forehead. Extremely beneficial for dry ageing skin, cod liver oil also helps joints, hair, nails and the digestive system. If you are a smoker, your skin and teeth will both age faster thanks to narrowed blood vessels and damage to collagen. Quitting smoking will not only benefit your health, it will also improve the appearance of your skin, hair and teeth. 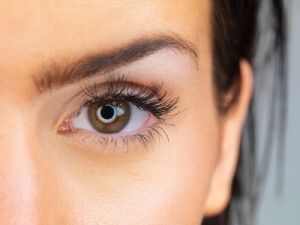 Having an expertly shaped set of brows framing your face can do wonders for your eye area. Threading offers the most precise results. Yellowing teeth can age a face more than wrinkled skin. To keep your smile youthful, consider a whitening treatment. Another factor that ages skin is sun damage. Be sure to protect yourself with a high factor sunblock that protects against UVA and UVB rays. Many facial treatments like peels and laser treatment can turn back the clock. Do your research and only go to qualified practitioners. There are hundreds of primers currently on the market, be sure to look out for those with light reflecting particles as they will lift your complexion for a more youthful look.